I bet some of you, are responsible to clean your house during the weekend right? Why not, I give you a solution that will ease your task in just a second. Have you hear about WD-40? I'm positive you all know about this. But, if you don't I will explained briefly about it. "WD-40, stands for Water Displacement, 40th formula.In 1953, chemist names Norm Larsen was attempting to create a formula to prevent corrosion, which is done by displaying water. He then perfected the formula on his 40th try." 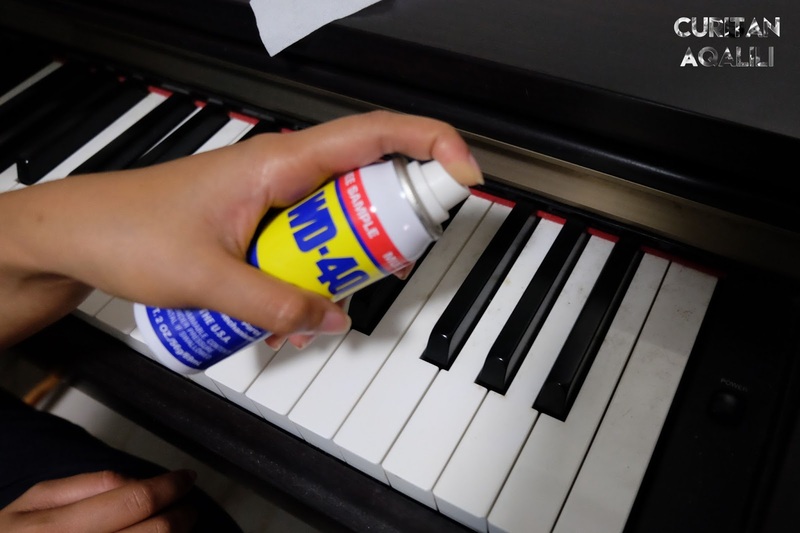 Instead of revealing you the formula, WD-40 informed you about what it does not contain, such as silicone, kerosene, water, graphite or chlorofluorocarbons (CFCs). 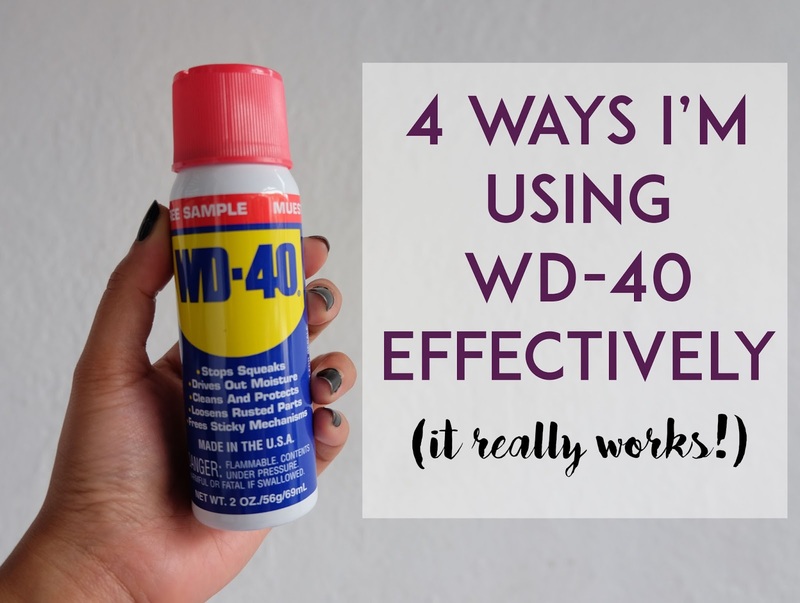 That's a little bit info about WD-40 for now, and lets move on to 4 ways I'm using WD-40 effectively. (FYI, I used tissue to wipe and clean this off). Honestly, I want to write this entry as best as I can and trying to show you few ways that WD-40 works effectively by testing it myself. 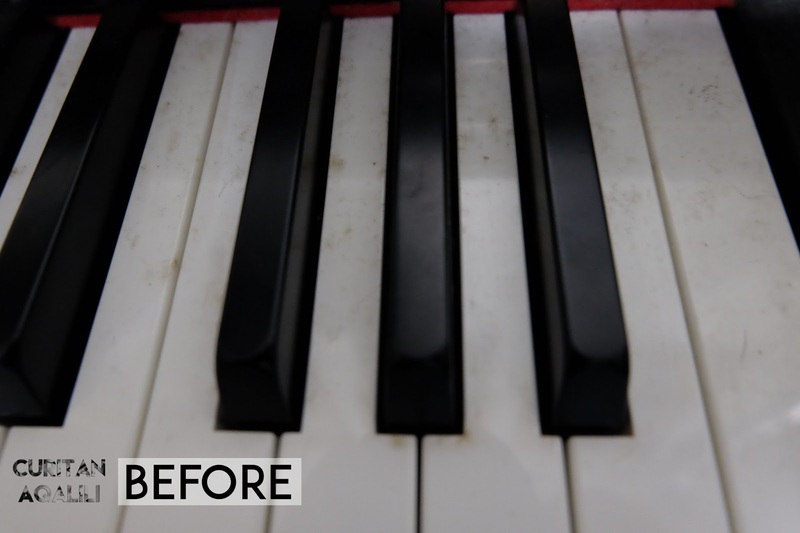 By the way, I rarely used this piano and it have been catching up some dirts. Therefore, its time to clean it up. Squeaky clean! 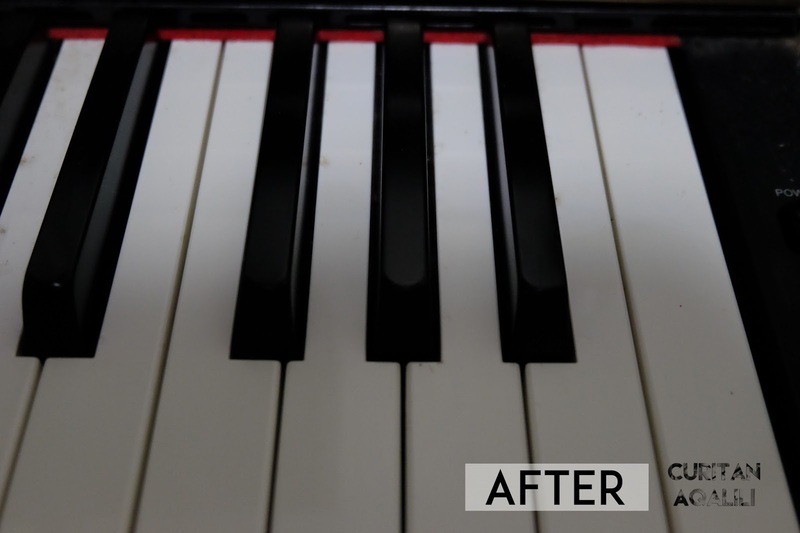 By looking at the clean piano keys feels like playing it again. But, I have to tell you that I'm not use a lot of force to wipe it off. There are some of the dirt does not come off. I bet if I put more force into it, it will be much more shinier than this. 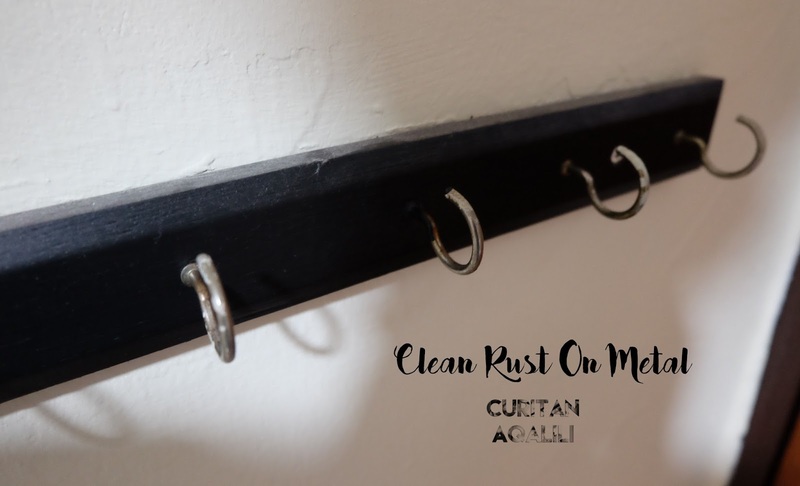 Chalk board and duster are dependable on each other, but the duster doesn't clean the board as clean like this. 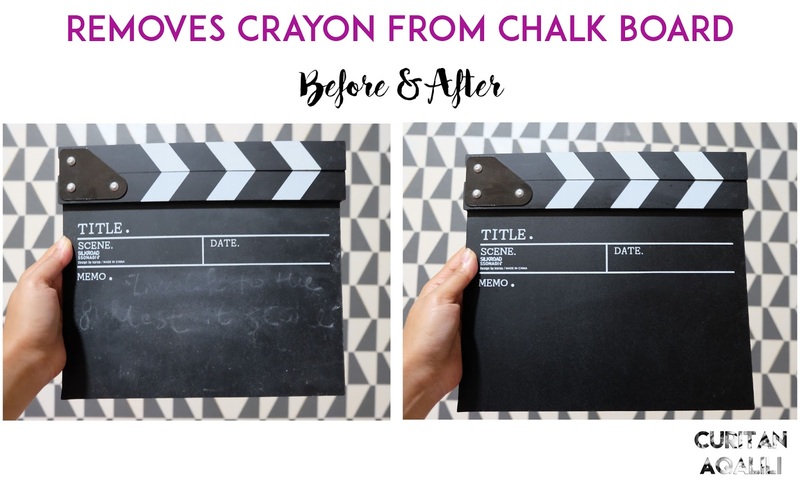 By the way, this will be amazing for crafty people who owned chalk board! For small chalk board like this, I only pump it oncr and just wipe it all off at once. Plus, it dry quickly, so you can reused this again for your next project in a minute. You know that it is really hard to scrap that rust out of the metal. Especially when it was there long time ago. Don't worry! 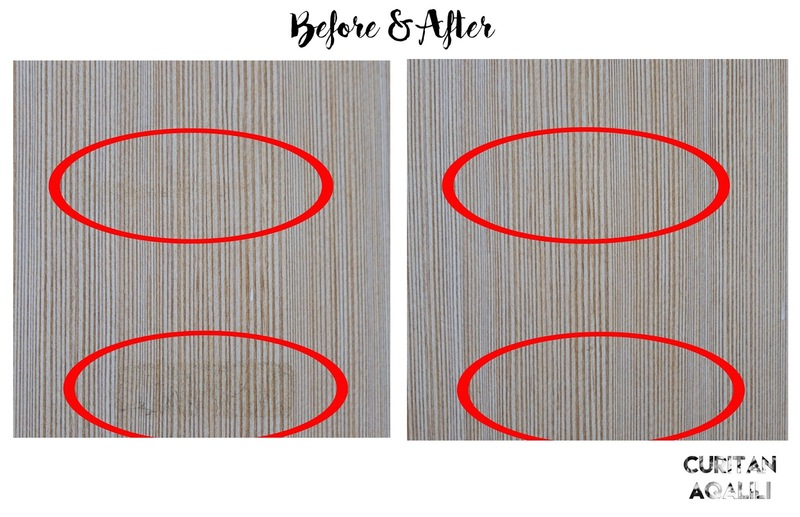 With WD-40 you can scrap this off but you need to do it couple of times to get a result like this. 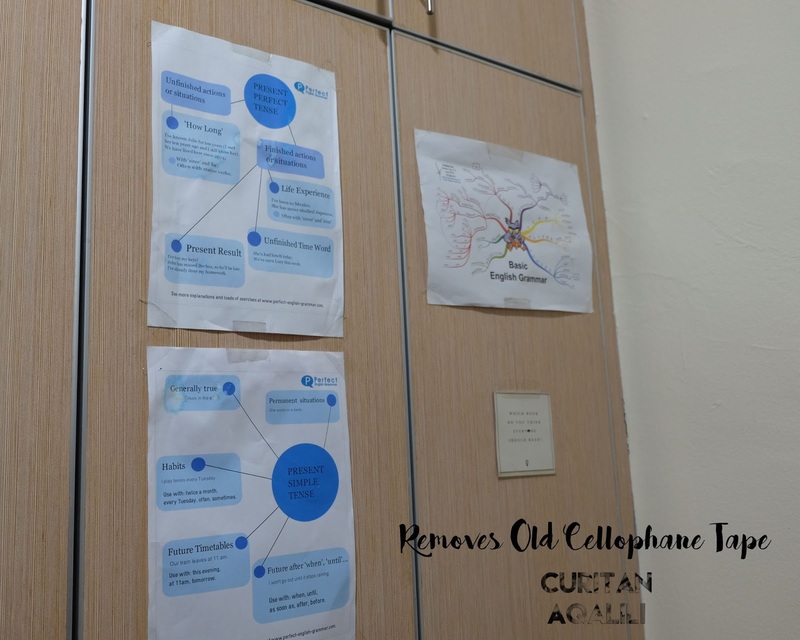 I love to hang things and tape something on the wall especially posters and all of that. But, since my room is quite small due to the in build closet, I decided to tape something on that surface. There was one poster that came off and there are cellophane tape residue (based on the picture below). For this surface, it is quite easy to clean it off and I just spray WD-40 once on the surface. Since the feedback is great on this surface, I will try to clean cellophane tape on my wall soon. Overall, the only downside of WD-40 is the smell. For me, WD-40 have that strong chemical smell that I couldn't stand. Therefore, I wish that they will come with an option for this one. Let me know in the comment box below if you have been using WD-40 too! For more information about this multi-use products, visit their website at http://wd40.asia/products/wd-40-multi-use-product.